Bwindi Impenetrable National Park- A Place for Gorilla Trekking in Uganda. Bwindi Impenetrable National Park found in south-western Uganda is a home to the endangered mountain gorillas in Uganda. Bwindi Forest is famous for Gorilla Trekking Safaris in Uganda and is situated along the Democratic Republic of Congo border next to the Virunga National Park. Bwindi is on the edge of the western Great Rift Valley. It comprises 331 square kilometres of jungle forests which comprises of both montane and lowland forest and is accessible only on foot. Bwindi National Park is one of the 3 UNESCO World Heritage Sites in Uganda. The park has one of the richest ecosystems in Africa and a variety of animal and bird species. The park is a habitat for some 120 species of mammals, 346 species of birds, 202 species of butterflies, 163 species of trees, 100 species of ferns, 27 species of frogs, chameleons, geckos and many endangered species. In particular the area shares in the high levels of endemic of the Albertine Rift. The park is also a a home to colobus monkeys and many birds like horn bills and turacos. Bwindi is most notable for gorillas whose numbers constitute half of the world’s population of the critically endangered primates. In Bwindi Forest, a 3 Day Gorilla Trekking Tour is the most common safari package for most visitors. This gorilla tour package offers wider chances for exploring Bwindi for trekking excursions, nature tours, community walks as well as bird watching among others. Other safari options include a one-day and two days forilla safaris for visitors who enter Uganda through Kigali in Rwanda. Gorilla Safaris in Uganda take place in this very green impenetrable forest on a daily basis as visitors tour different gorilla groups. The biologically diverse park derives its names from the local language ‘Bwindi’ (dark place) which defines the impenetrable nature of its thick forests. Bwindi Impenetrable National Park is about 520 Kilometres from Kampala, the Capital City of Uganda. Usually stronger vehicles like 4 Wheel Drives are recommended from Kampala or Kabale. 1. One can move from Kampala – Kabale (414 Kilometres, between 5-7 hours), then Kabale – Kanungu – Kanyantoorogo – Buhoma Park Headquarters, about 120 kms, a three and half hour-drive. 2. Kampala – Kabale (414 Kms), then to Ruhija which is 95 kilometres, a three-hour drive. 3. Going through Queen Elizabeth National park Ishasha-Kihihi- then Buhoma. With this route, one goes via the Ishasha Sector in the south of Queen Elizabeth national Park known for its tree-climbing lions. Ishasha is a good route for stop by tourists going to Bwindi. 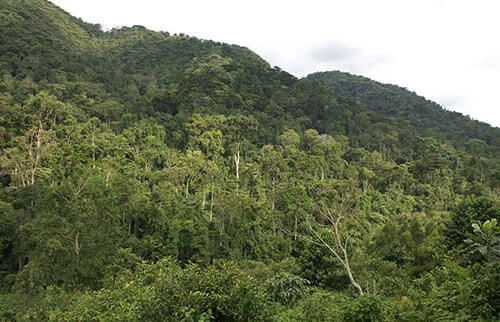 Bwindi forest is 160 km from Mweya and 64 km from the Ishasha sector. 4. Kampala – Mbarara – Ntungamo – Rukungiri – Buhoma. 5. Kampala – Kabale – Rushaga to Nkuringo in the southern section of Bwindi. Kigali – Gatuna Boarder – Kabale to Bwindi. 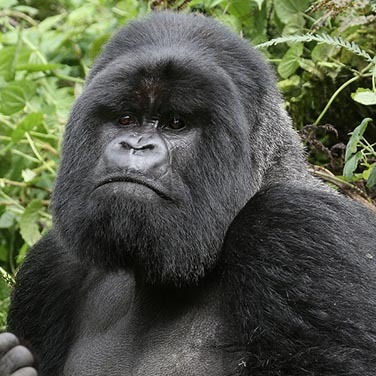 Gorilla Tourists can fly from Entebbe Airport to Kisoro Airstrip on the outskirts of Kisoro town. Alternatively, travellers may fly from Entebbe to Kihihi Airstrip in Kanungu district. 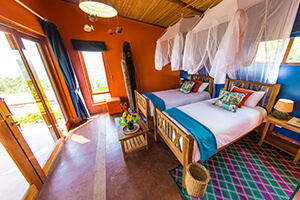 Kihihi is ideal for those doing gorilla trekking in the park’s northern section of Buhoma. – Mountain Gorillas, it’s a home for over 440 gorilla beringei*, a half of the total remaining world population of around 880 individuals combining those in Uganda, Rwanda and the DR Congo. – Over 346 species of birds registered (Bwindi contains 90% of all Albertine Rift endemics. – 200 species of butterflies. 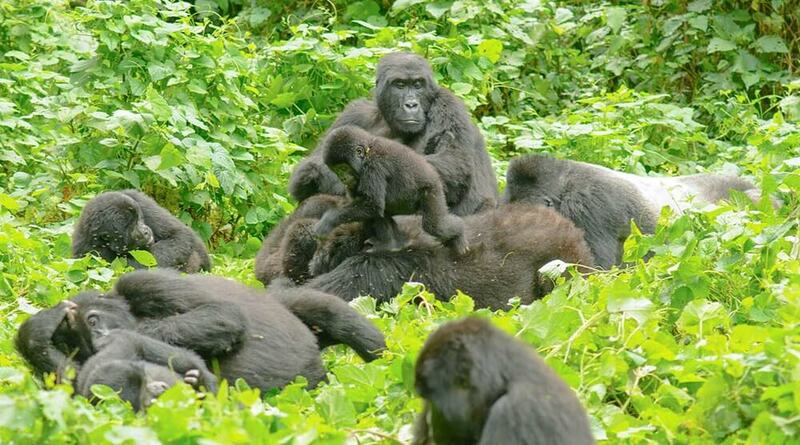 And Mgahinga National Park has the Nyakagezi Gorilla Family. Current information about gorillas is available from the Uganda Wildlife Authority (UWA) Headquarters or Bwindi National Park management. Bwindi Gorilla trekking is a bit tiresome, meaning physical fitness is an essential factor. Usually gorilla tracking excursions runs from 8:30 a.m. local Ugandan time up to late hours of the day. About 8 permits are sold on a daily basis for each group at UWA offices. So it’s better to book at least three months in advance to trekking to ensure proper programming. For environmental and animal safety reasons, visits to the gorillas are controlled. It’s advisable to come with the following for tracking gorillas. (a) Hiking boots- ankle level boots are fine but make sure it is something handy. (e) A pair of binoculars if you are a keen bird watcher. (g) Thick trousers and a long sleeved top are ideal for tracking. (i) If you prefer wearing a hat, a baseball cap is recommended. Bwindi Impenetrable National Park is also a hub for birds. The forest has over 350 birds’ species, representing a 90% of all Albertine rift Endemics. Hiking trails are open to people who want to see birds, butterflies, primates and trees along the Munyaga Waterfall, Rushura, River Ivi, Mu bwindi swamp nature walks and Bamboo. There are also a cultural walk to Buhoma village community for viewing traditional homestead, the healer, the banana brewing exercise, traditional handicraft and cultural performances. 8. Gruer’s Rush Warbler and many more. All these bird species are very rare in the Great Lakes Region and its in Bwindi where a birder has a golden chance to see them. Munyanga river trail is an interesting short walk for tourist with limited time at their disposal. Interesting to see here are mainly birds and primates of the forest edge. The wonderful waterfall trail provides an attractive feature of the forest with a profusion of tree ferns, epithetic ferns, orchids and Bwindi Forest’s colourful array of butterflies. This trail gives a clear picture and comfort of a true tropical rain forest. when you spend between 2 to 4 days in the park, there are 4 interesting hiking trails. There is a chance to see and learn about primates, various rare bird species, butterflies, trees, plants and other organisms on all the four trails. When you are with a guide, who is a must on the tour, you get a comprehensive learning of how park’s system operates. The guides understand well the primatology, ornithology and botany of the park. It’s the longest of the trail and takes a full day to accomplish. It’s always good for bird watchers. Visitors with their own 4WD vehicles transport should consider crossing the rugged centre of the park through Ruhija. This transect affords the visitor with Uganda’s finest vistas of deep undisturbed forests. While on this Uganda safari, watch out for duikers, primates and both forest and grassland bird species. In Ruhija, visitors can take the three-hour scenery packed hike to the Mubwindi swamp. One can also walk conveniently to the Bamboo zone. This trail is very enjoyably because it commands an expansive view across the western rift valley floor. To the west, Congo’s Parc Nationale des Virungas provides spectacular scenery of clear Lake Edward and the Rwenzori Mountain. Muzabiro Trail gives a comfortable breath taking spectacular scenery of Bwindi Forest, Western Rift Valley and the Virungas. While on your way, you will view a lot pre-historic tree ferns. When you reach the top of this trail, you will realise it is a wonderful site for a picnic lunch. This one is among the areas of the highest diversity in the park and its trail offers 14 vegetation types. When at the top of this trail, you are treated to an expansive sight of the clear-water Lake Bunyonyi and the thick Mafuga Forest. The evenings are usually characterised by traditional dance performances by local tropes especially women groups. And money raised from these performances is directed towards improve the lives of the people/ locals who live around the park. When you encounter the gorillas, please try to be submissive as much as possible. – Try to give a sideways glance; don’t look at them straight in the face. Gorillas in Bwindi are a bit wild and should not be provoked recklessly. • Do not entice them to get into contact with you in any way. 1. Try to avoid tracking if you suffer from contagious disease. In case you develop a sever case of flu, your money will be fully refunded if you make this known in advance. 3. Do not spit or defecate carelessly in the forest. If you need to, the guides will help you with a tool to dig a hole to bury your wastes. 4. No trekking for persons below 15 years as they are regarded as under-age. Read about Mgahinga Gorilla National Park, another home to Mountain Gorillas in Uganda. Where Else Can you see the Mountain Gorillas? Apart from Bwindi Impenetrable National Park, the Volcanoes National Park in Rwanda is another incredible chance see mountain gorillas in the wild. In Rwanda, visitors can do a 3 day gorilla tracking safari, a 2 day trekking tour or a 1 day gorilla trip especially when time and budget are very limited. The Democratic Republic of Congo has also got Mountain Gorillas living in the Virunga National Park in the eastern side of the country. Uganda has got other nine national parks and these are Murchison Falls National Park, Queen Elizabeth National Park, Rwenzori Mountains National Park, Kidepo Valley National Park, Mount Elgon National Park, Semuliki National Park, Lake Mburo National Park and Kibale National Park. The country has also got numerous game reserves and wildlife sanctuaries among others.